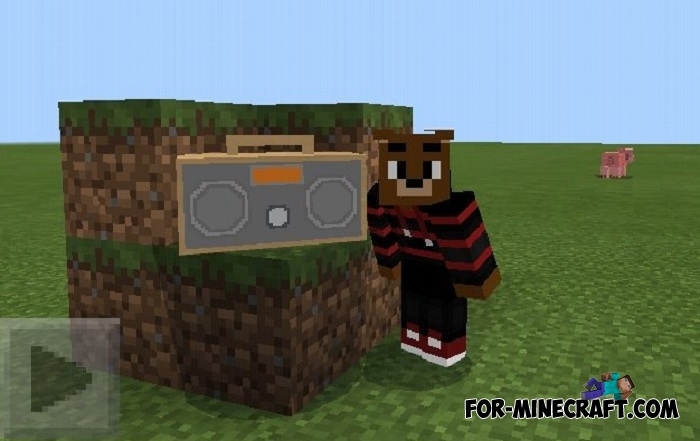 If you need more music than the one that is present in Minecraft BE by default and you would like to hear full music tracks, then you will need this boombox. Judging by the appearance, this is a real boombox and it really works according to its intended purpose. Unlike a juxebox, this device plays not bit melodies but ordinary tracks that can be heard anywhere every day. The best thing to do is to watch the video below showing how convenient it is to listen to music on this boombox. It perfectly complements the interior of your home in addition to the ability to listen to music while doing your own business. How does the boombox work? 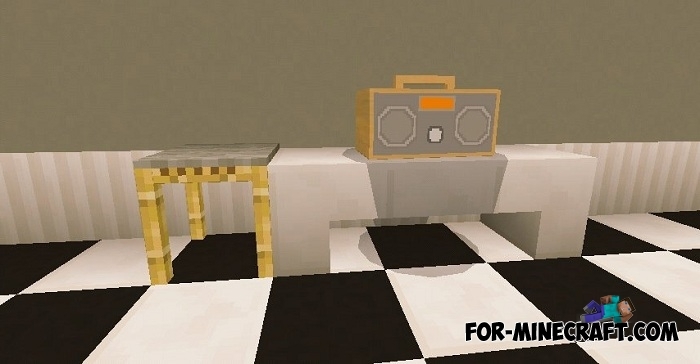 How to install the Boombox addon? 1. Open the archive and install the addon and skin pack in turn.